Free, clear sparkling soda water still is available in a beautiful Soda Springs city park located two miles north from the center of town. 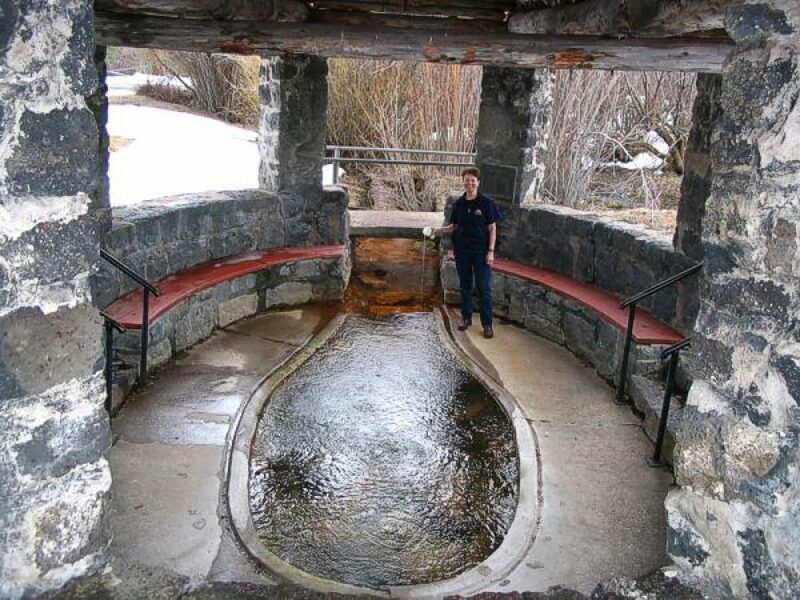 A prime attraction for more than 160 years, soda water from these springs was known nationally after rail service reached this resort area in 1882. W.H. Hooper, Salt Lake City’s leading banker and president of Zion’s Cooperative Mercantile Institution, had his summer home here. He did much to found and promote Soda Springs and its soda water industry while serving as Utah’s delegate to Congress.